Try to make self HEAVIER to REDUCE effects of ALCOHOL. 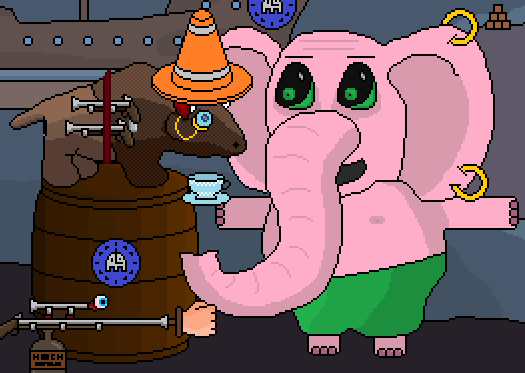 Also: Try spilling the TEA onto the PINK ELEPHANT's GREEN SHORTS. That'll scare him.